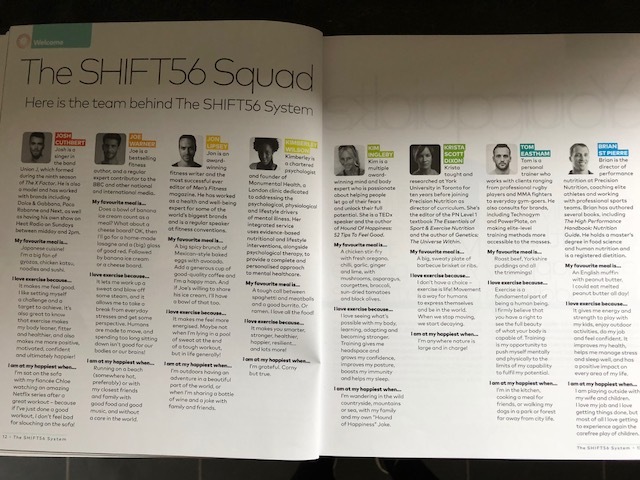 I’m really proud to be part of the Expert Squad for Shift 56, alongside the three listed authors. (@JoeWarnerUK , @JonLipseyMedia, @JoshUJWorld). 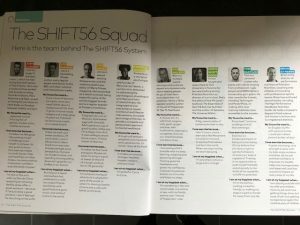 The SHIFT56 system is an amazing 8-week guide to leading a leaner, healthier and happier life. It’s geared towards both men and women and offers healthy eating and exercise tips for getting into shape. It offers easy bite sized steps that will have a positive impact on how you look and feel, with really fast results! It’s based on the 3 most important factors for better health and happiness: Exercise, eating and journaling. 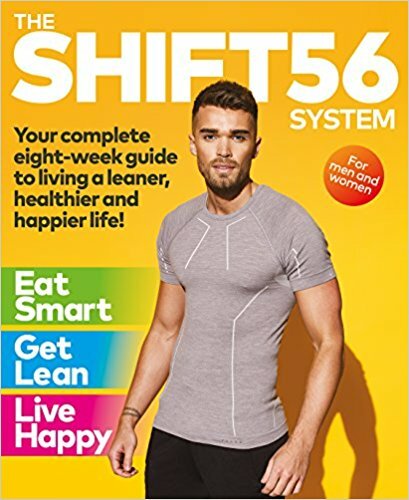 The guide includes an 8-week fat-loss workout plan, a guide to healthier eating for life, a goal-setting journal which will only consume 5 minutes of your time each day. There are also some revelations about detox diets and counting calories and some tricks for obtaining better health and happiness without having to sacrifice the foods you love. 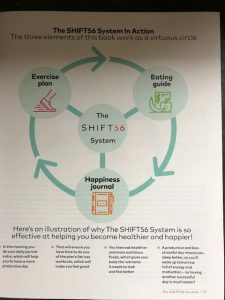 Also included are tips on being more present at mealtimes, achieving an improved work-life balance, getting more sleep and getting your hormones to make your body burn fat, rather than storing it. I’m incredibly proud to be part of this book, it’s my fourth! First up was my 30 Fit Inside Out Mag Book for Women’s Fitness (where I front covered too!) and co-authored with Fiona Bulger, then contribution to Sorted, Dr Juliet McGrattan‘s Bestselling book, and then of course, my little bestselling book, the Hound of Happiness on Amazon too! 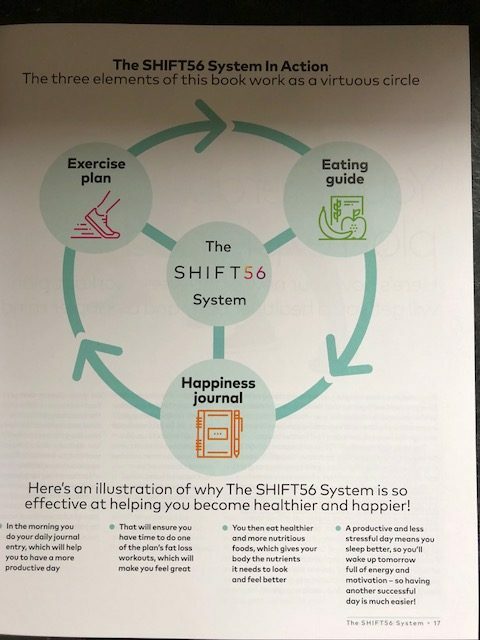 You could get a triple bundle for your New Year’s Solutions of Shift56, Sorted and the Hound of Happiness, that’s a good bundle! For media enquiries and features please contact kim@kimingleby.co.uk.